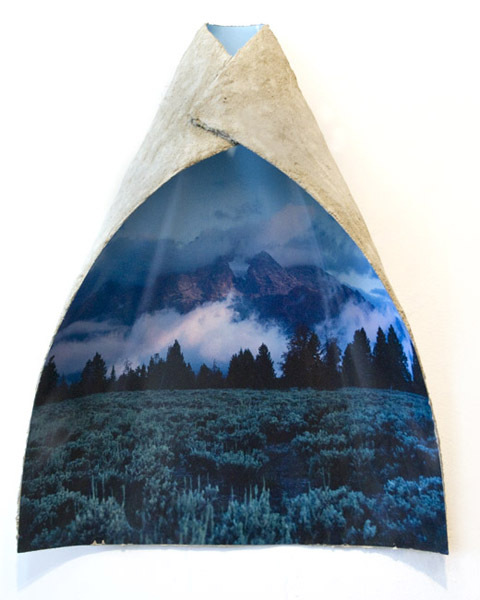 Letha Wilson uses images and materials from natural landscape as a starting point for interpretation and confrontation. Work creates relationships between architecture and nature, the gallery space and the American wilderness. 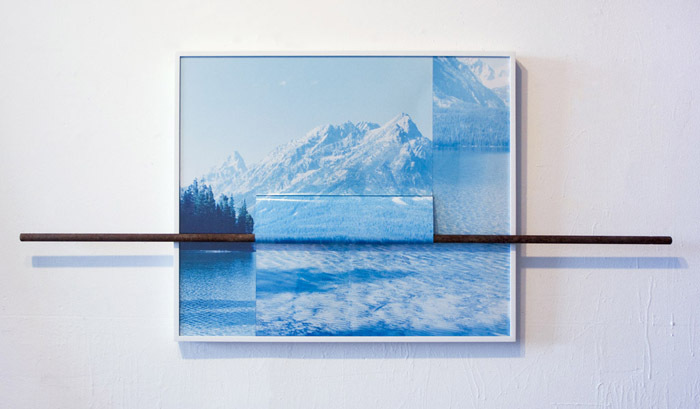 In the photo-based sculptures the ability for a photograph to transport thew viewer is both called upon, questioned; sculptural intervention attempts to compensate the physical site it represents. Landscape photography as a genre is approached with equal parts reverence and skepticism. In another body of work, site-specific installations juxtapose re-claimed wood and drywall material in innovative ways that respond to both interior and outdoors environments, and comment on the glut of material discarded in the contemporary exhibition cycle. 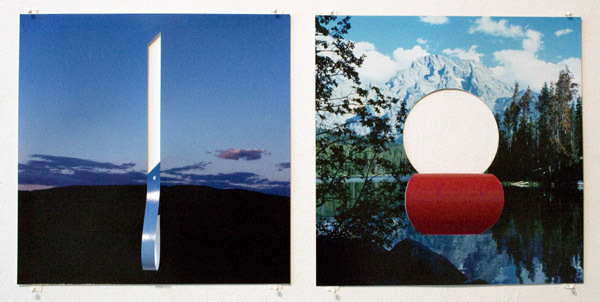 The work often originates within specific geographic locations, using photographs to layer a site’s unique history with its current image and often conflate two separate environments. 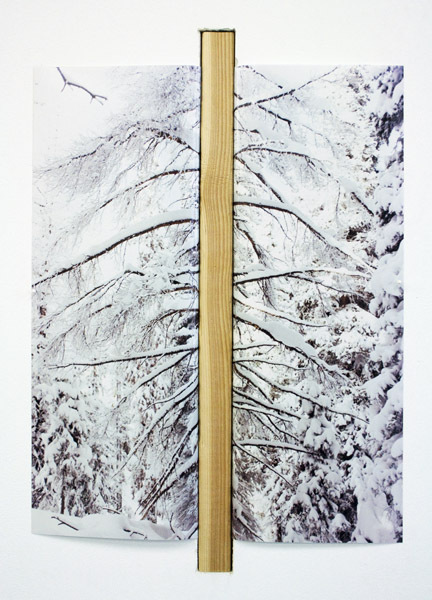 Recent work delves further into the photograph as both emotive device and architectural element, and pushes its potential for physical re-invention. Rather than approach the environment in general terms, the work preserves a singular moment of contemplation and dialogue between the natural and constructed worlds.